Big debut breakout for Adam Shaughnessy! If there's anything better than a debut book sale, it might have to be: a debut book sale, in a two-book deal, at auction! There are some manuscripts which you pick up and right on that first page you think to yourself, "Yes! This book has got it!" Such was the case with Adam Shaughnessy's fabulous middle-grade adventure, about a couple of New England kids who become mixed up in the affairs of gods and mythical creatures from Norse mythology. What happens next? Oh, wouldn't you like to know! When I sent this project out on submission just a few short weeks ago, we were thrilled at the very quick positive energy it brought about—all of which culminated in an exciting auction. I am thrilled to announce today that THE ENTIRELY TRUE STORY OF THE UNBELIEVABLE FIB (and its sequel) has found its perfect home with the fabulous Elise Howard of Algonquin. Things are settling into a place for a tentative fall 2015 release, so you won't have to wait too much longer to read this incredible book. For several years now, Carrie Gordon Watson's mind has been filled with cockroaches. I don't mean that as any kind of insult, believe me. It's just that Carrie had this amazing/different/riveting story in her head, and it started, as I understand it, with a boy receiving texts from a cockroach. Soon this story morphed into a boy receiving THREATS from a cockroach on his cell phone, and the cockroach being the boss in a big online videogame the boy is obsessed with, and the boy's mother abandoning her family for Stan the Bug Man, and moments where the world is crawling with cockroaches--or at least, the boy's view of the world is--or maybe both. THE ASCENT OF TOSH is about a teenager's wish to ascend to some kind of higher understanding about the confusing tragedies of his life, and wanting to level up in a videogame, and the two blending together in his mind to the point that not even readers know what is real and what is virtual, but they're sure as hell gonna stay to the end of the wild ride! I am so pleased to share the news that after much labor on writing and revising, the manuscript went out on submission--and was very quickly snatched up by Liesa Abrams of Simon Pulse, one of the best editors in the business and a darned nice person as well. I couldn't be happier about this match! Liesa Abrams at Simon Pulse has acquired The Ascent of Tosh by Carrie Gordon Watson, pitched as The Matrix meets Donnie Darko with cockroaches – a surreal story depicting the way trauma and grief force a teen into the bizarre recesses of his mind. Publication is expected in spring 2016. Erin Murphy of Erin Murphy Literary Agency brokered the deal for North American rights. Now please join me in a standing ovation for Carrie! 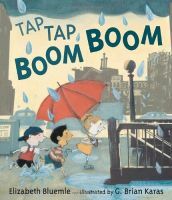 Happy double release day to Elizabeth Bluemle's TAP TAP BOOM BOOM and Liz Garton Scanlon's THE GOOD PIE PARTY! These picture books are already receiving wonderful praise for their beauty and warmth. As always, we wish them into the hearts of readers! Congratulations, ladies! Dancing About Another Starred Review! Another starred review from Kirkus today! 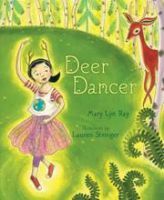 This one is for Mary Lyn Ray's gorgeous DEER DANCER. They say "Ray's brief text lyrically sings of the beauties of dance and nature... An ode to joyous dance." We're so happy for you Mary Lyn. Congratulations! A Review Worth Flying For! It's a STARRED review from Kirkus for Conrad Wesselhoeft's DIRT BIKES, DRONES, AND OTHER WAYS TO FLY! Congratulations, Conrad! We love that they call it "a superbly well-balanced narrative". Such well-deserved praise. Check it out! I am SO HAPPY to announce a big SIX-BOOK deal for Chris Barton with HarperCollins! He's writing two picture books and four I Can Reads, all featuring a brand-new character that Harper is eager to launch: Super Truck! The mild-mannered, fun-loving dump truck transforms into a superhero to save the day--and entrance many young readers who already love SHARK VS. TRAIN, we're sure. This brings the total number of Chris Barton-authored books under contract to ELEVEN. So much Barton-y goodness coming down the pike! The marvelous David Linker at Harper Children's did the deal, and signed Troy Cummings to illustrate. The first book will debut in winter 2016. Happy birthday to The Soccer Fence! 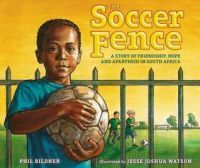 Happy book birthday to Phil Bildner's THE SOCCER FENCE! This beautiful book is about what Kirkus calls "a tale of sports bridging cultural and racial chasms" and Publisher's Weekly calls a "gentle yet penetrating story." Check it out! Happy book birthday to Adi Rule's STRANGE SWEET SONG! And what better way to celebrate the day than with a great review in USA Today? Congratulations, Adi! We're sure this is a book YA romance readers will love. Happy book birthday to Audrey Vernick's SCREAMING AT THE UMP! It's a special day for SCREAMING AT THE UMP--its release day! Not only is it an Amazon Big Spring Children's Book Pick, but it's already getting great reviews. Welcome to the world, Casey Snowden, and a huge congratulations to author Audrey Vernick! Hooray for SOPHIE'S SQUASH, Golden Kite Award Winner! It's been a big year for Pat Zietlow Miller's SOPHIE'S SQUASH, as this picture book darling has warmed its way into the hearts of readers from coast to coast. 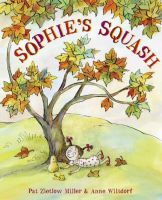 Today, SOPHIE'S SQUASH receives yet another honor—and an especially wonderful one: We are thrilled and delighted to share that Pat Zietlow Miller and SOPHIE'S SQUASH has won the Golden Kite Award for Picture Book Text! 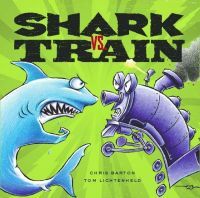 Read more details at the SCBWI site... And then maybe stop on by your bookstore and pick up a copy for someone you love? Happy days to all, and huge congratulations, Pat!